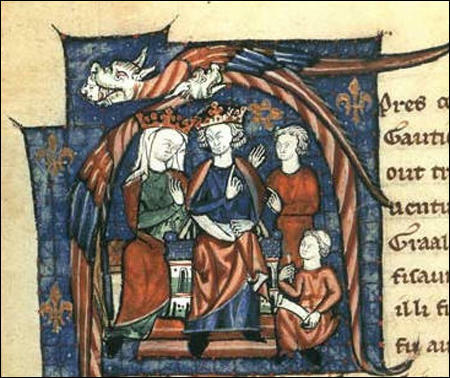 Henry of Anjou married Eleanor of Aquitaine on 11th May, 1152. Henry was then nineteen years old, while Eleanor was nearly thirty. Henry had "acquired by marriage almost half of what is now modern France. He was now master of a vast tract of land stretching from the English Channel to the Pyrenees, a domain that was ten times as large as the royal demesne of France. Through marrying Eleanor, he had founded an Angevin empire and established himself... as potentially the most powerful ruler in Europe." Henry became king of England on the death of Stephen in October 1154, and Henry became king. He took over without difficulty and it was the first undisputed succession to the throne since William the Conqueror took power in 1066. 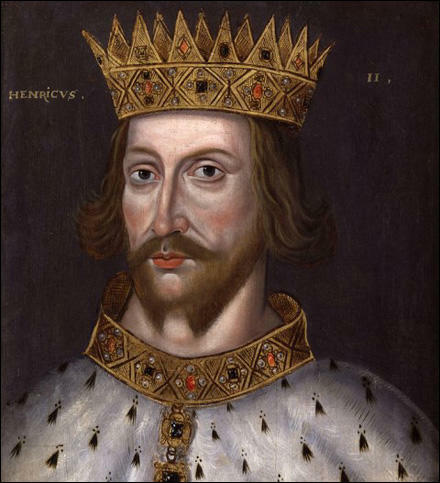 Henry II was now the most powerful ruler in Western Europe. From an early age Henry had been trained as the next king of England. His mother, Queen Matilda had employed the best scholars in Europe to educate her son. Henry was a willing student and never lost his love of learning. One of his close friends said that Henry had a tremendous memory and rarely forgot anything he was told. When he became king he arranged for the world's best scholars to visit his court so that he could discuss important issues with them. Henry spent many hours studying Roman history. He was particularly interested in the way Emperor Augustus had successfully managed to gain control over the Roman Empire. Henry realised that, like Augustus, his first task must be to tackle those that had the power to remove him. 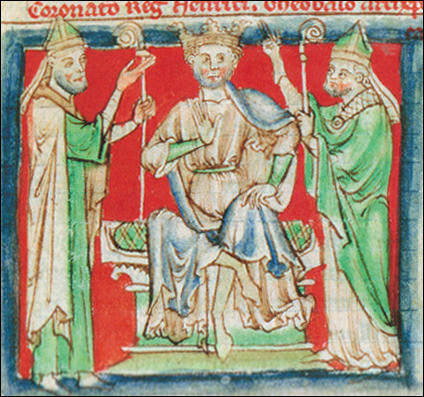 This meant that Henry had to control England's powerful barons. His first step was to destroy all the castles that had been built during Stephen's reign. Henry also announced that, in future, castles could only be built with his permission. After the miseries they had endured the people hoped for better things from the new monarch, especially as Henry gave signs... of a strict regard for justice... In the early days he gave serious attention to public order and exerted himself to revive the laws of England, which seemed under King Stephen to be dead and buried. No one can doubt how splendidly, how vigorously, how skillfully our most excellent king has practised armed warfare against his enemies in time of war... He not only brought strong peace in England... he won victories in remote and foreign lands. With King Henry II it is school every day, constant conversation with the best scholars and discussions of intellectual problems... He does not linger in his palaces like other kings but hunts through the country inquiring into what everyone was doing, especially judges whom he has made judges of others. Henry sought to help those of his subjects who could least help themselves. When the king found that the sheriffs were using the public power in their own interests... he entrusted rights of justice to other loyal men of his realm. I order you to hold a free election, but forbid you to elect anyone but Richard my clerk. Henry dreaded war... and grieved more than any prince for those lost in battle, mourning them with a grief far greater than the love he gave to the living. He could scarcely spare an hour to hear mass... The revenues of the churches he drew into his own treasury... as he was always engaged in mighty wars, he spent all the money he could get, and lavished upon soldiers what was due to the priests. If the king said he will remain in a place for a day.... he is sure to upset all the arrangements by departing early in the morning. And you then see men dashing around as if they were mad... If, on the other hand, the king orders an early start, he is sure to change his mind, and you can take it for granted that he will sleep until midday. Then you will see the packhorses loaded and waiting, the carts prepared, the courtiers dozing, traders fretting, and everyone grumbling... Many a time when the king was sleeping, a message would be passed from his chamber about a city or town he intended to go to... But when our courtiers had gone ahead almost the whole day's ride, the king would turn aside to some other place... I hardly dare say it, but I believe that in truth he took a delight in seeing what a fix he put us in. The king (Henry II) demanded that the clergy seized or convicted of great crimes should be deprived of the protection of the Church and handed over to his officers, adding that they would be less likely to do evil if... they were subjected to physical punishment. Question 1: Study sources 2, 3, 5 and 6. 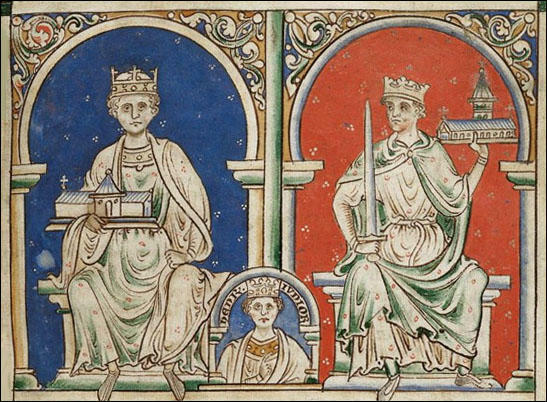 According to these medieval historians, why was Henry II a good king? Question 2: Why would modern historians be interested in finding out the dates when William of Newburgh, Gerald of Wales, Ralph de Diceto, and Peter of Blois wrote and published their accounts of Henry II. 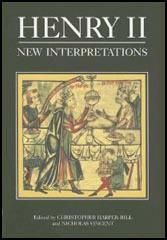 Question 3: How important are sources 4, 7 and 10 in helping historians understand Henry II? Question 4: Select sources from this unit that would be helpful to a historian who wants to find out about Henry II's relationship with the Church. Explain why you have chosen these sources.